The Quality Committee (QC) is a global forum for (1) sharing information about challenges and solutions through open discussion about quality and business practices, and (2) continuous improvement of the ASA-100 quality standard. Bring your issues to the table. Be respectful of your colleagues. Share the committee's solutions with others who could not attend. Promote the quality and safety values of the Committee. Provide support to the Association by sharing your knowledge and experience. 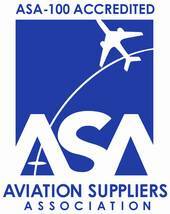 The ASA Quality Committee is made up of representatives of ASA member companies. ASA also invites non-members to join where their expertise may be useful to a particular deliberation. If you are not yet an ASA member and would like to attend an ASA Quality Committee meeting, please contact Michele Dickstein or Join Now. The Quality Committee meets bi-annually, typically during ASA's Annual Conference and in the winter. Click on Quality Committee News for additonal details.